This Tex-Mex appetizer recipe gives potato skins a new twist and a bit of a kick. The stuffed potato boats are pack with ground turkey and plenty of spicy flavors making this a great snack or side dish. 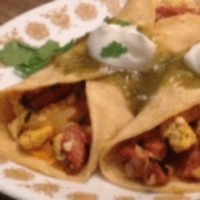 This is an easy recipe to modify to your liking. Just add or remove ingredients to make this appetizer your own. 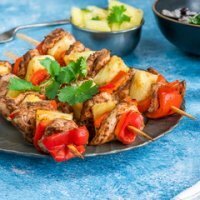 If you are a meat and potato kind of person then you will love this appetizer recipe. 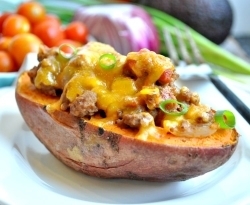 Using ground turkey (to help reduce the fats and calories) and packed with lots of flavor, these stuffed potato skins will go great with your Tex-Mex meal tonight. Slice potatoes in half, lengthwise and place on a baking sheet. Keep scooped out potatoes for another use. Cook for approximately 5 minutes or until meat is no longer pink. Drain meat juices. Add tomatoes, chili powder, oregano, cumin, red pepper flakes and salt. Cook for another 15 minutes or until most of the liquid has evaporated. Spoon the turkey mixture into the potato shells and sprinkle with cheese. Place backing sheet into oven and bake for 15 minutes or until cheese is melted. The Ground turkey or veggies were not included in the calculation of Weight Watchers SmartPoints. The veggies were not included for calculation of all other points values. 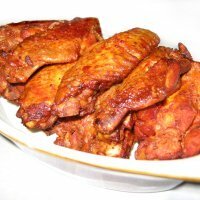 This appetizer recipe makes a great side dish to your dinner plans. If serving as an appetizer or snack, you can cut the stuffed potatoes in half to make smaller portions. 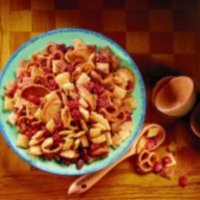 For even more kick on this recipe idea, replace the stewed tomatoes with a can of diced tomatoes with green chilis or jalapenos. This will really spice it up so be sure to have something to cool the burning. Check out this Cherry Salsa to go with this appetizer recipe idea. Don't throw out those peeled potato skins. Check out these recipe ideas for your potato peels. Try this appetizer recipe for a great start to your meal. Fille with protein, fruit and healthy goodness. 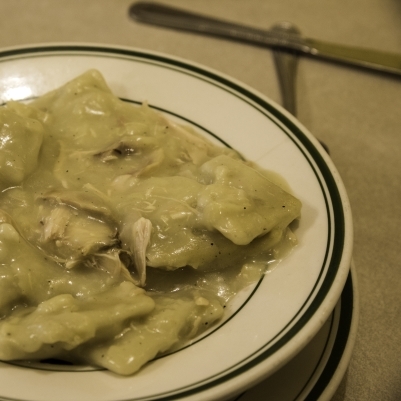 Chicken and dumplings is always a great standby comfort food so why not have it for dinner tonight. 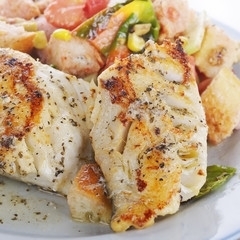 This baked mahi mahi has a ginger glaze that gives it a unique flavor. Losing weight can be difficult at times. In order to stay motivated and stick with it, get support. This article discusses the different types of weight loss support groups so you can pick one that fits your lifestyle. Do you have 4 days? Okay, so it's not a diet in just 4 days. Instead, it alternates what you eat every four days. Read this review to see if this diet is right for you. Before filling your plate with the main dish, sides and appetizers, be sure you understand proper portion sizes.